Here is a very old joke. It sure sounds foolish to look for what is lost, where what is lost is not. Jesus went where the lost were. He sought out all that would hear His good news. The “Light of the World” sought out darkness, not to become dark, but to make the darkness light. We also are told to be lights to the world. We are told not to hide that light. And often, as good Christians, we obey Jesus and do not hide our light. We boldly proclaim the Gospel, in church. He discuss deep spiritual matters with anyone, in our Bible study group, who is interested. We confidently share our faith with our Christian neighbors and relatives. When we share our faith only with those we believe share our faith, we are like Bud, who is looking for his wallet where it isn’t. We, like Bud, are hiding in the light—seeking to obey God in action, but only where it is comfortable. We are called to be uncomfortable. Obedience to God is not merely in action, but location. Where are you looking for God’s lost children? Lamin Sanneh uses Translation and Diffusion as terms to describe two types of mission work. Diffusion is the traditional (although not universal) form of Islamic mission. The assumption is that the culture of land of its origin (Arabia) is the ideal form for its missional expression. Translation is the traditional (but by no means universal) form of Christian missions. 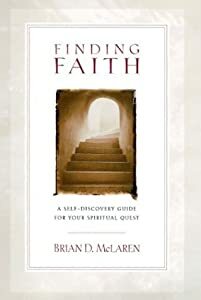 The message of faith is translated into the culture of the recipient. It will transform the culture… but not replace it with the host culture. Quote from Lamin Sanneh in “Translating the Message: The Missionary Impact on Culture”, 2009 edition, page 35. Gordon Kaufman in The Theological Imagination: Constructing the Concept of God points out something that most of us know, but sometimes forget. When I was living in Orlando, Florida, a police detective came to my door, and asked questions about a neighbor. I had not known the person, and I soon realized that I knew no one in my apartment complex. The few people I spent time with were fellow students at school. We were friendly, but not all that close. At church I was put into the singles class, a dumping ground for church misfits My family and friends lived over 1,500 miles away. My situation then was not that different from millions in America and beyond today. What does it mean for the 21st century church? The church must be countercultural. American culture drives people apart. Church culture must bring people together, developing interlocking networks of relationships… a community. The church should model cooperation, not competition. Leave competition to sporting events. Church should model a team concept where failures are dealt with within a supportive network, and successes are shared. The church should break barriers. Race, cultural background, and distance should not be barriers, but add excitement and interest to the community. The church should act as a communal organism. It is communal in the sense that it is made up of interrelating individuals, not mindless drones. It is an organism in the sense that each part has a function that works towards a communal goal. The church is on a mission. Church is not a love-in, a feel good place to hang-out. It is not a social club, but an organism created by God, for a mission. That mission comes together, in part, because of trusted relationships within the community. Perhaps the church of the 19th or even 20th centuries did not need to have this sense of community, because other social structures existed that met basic human needs. That is no longer true, and the church must change to adapt to this new reality. Will the child still be seeking help after the lifeguard has found his suit and life ring and returned to the beach? Very doubtful. One of two likely possibilities will have occurred by the time he returns. The child will have drowned. Someone with less training will have saved the day. Let’s consider the situation of a lifeguard. A lifeguard does not know what will happen. His job is to be available for the unknown– unknown circumstances at an unknown point in time. But how does he prepare for the unknown? The failure in achieving and maintaining any of the above preparations may well make him useless when the need arises. 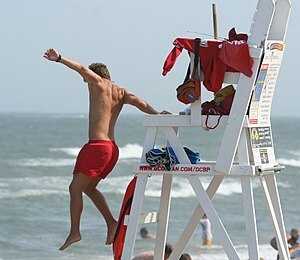 So WHY are we talking about lifeguards? One can use a lifeguard as a useful model for the life of a Christian. We know what we are needed to do in a general sense, but often not in a specific sense. As a lifeguard knows he is to help those in need, but does not know the exact time or circumstances, a Christian also knows he is to help those in need, with specific knowledge. As a lifeguard must prepare for the unknown, Christians must as well. A failure to be prepared may mean failure to be available. We may look and act prepared, but we aren’t. I have known many people who do not prepare because “they don’t feel called.” First, I think that is bad theology. All Christians are called to serve. Frankly, the question is not about being called, but being prepared, available, for when the need arises. If you are called… are you ready? Greetings. I already maintain the blogsite for Bukal Life Care & Counseling Center (http://bukallife.wordpress.com) based in Baguio City, Philippines. But I wanted to set up a separate page that is more specifically focused on issues in Christian Missions. I will be adding articles of varying lengths and topics.